The Black Tulip, by Alexandre Dumas, is a work of historical fiction that mixes actual events in the Netherlands in the 17th century with fictional characters and events. The first third of the novel provides a thorough explanation of Dutch politics and culture—a stark difference from many of Dumas' other works, which launch into breakneck action from the very first page. Midway through the novel, the plot adopts the fast-paced style for which Dumas is well-known, and does not let up until the very end. The late 17th century was a golden age for the Netherlands, as their naval strength and economic prosperity made them a major global power. Much of this period was overseen by Grand Pensionary (a kind of Prime Minister) Johan de Witt, who skillfully navigated the political realities of the time as a champion of liberalism and republicanism, in opposition to the aristocracy, specifically William of Orange. This time period followed the so-called ‛tulip mania’ in the Netherlands, an economic bubble that saw speculation on tulip prices reach incredible highs, only to heavily damage the economy when the bubble burst. Johan de Witt neglected the army, relying on Dutch naval prowess to protect the country. After the Netherlands was invaded with little effective resistance in 1672, the country fell into a panic. De Witt and his brother were accused of treason with the French, and were sentenced to exile. Before they could flee the country, however, a violent mob seized them both and murdered them in the street in a shocking display of violence that saw no investigation or arrests. Dumas begins the story with a detailed re-telling of Johan and Cornelius de Witt’s brutal murders, revealing that Johan had indeed corresponded with the French king, but that the letters had been entrusted to his godson, Cornelius van Baerle. The mob is incited and assisted by William of Orange, whose proposal to reinstate a royal office had been opposed by Johan. Cornelius is wealthy and is an avid gardener specializing in tulips. He lives next door to Isaac Boxtel, who was once a respected gardener known for his tulips, but who has descended into a jealous madness over van Baerle, who he sees as having the unfair advantage of his wealth. Boxtel has become so obsessed with Cornelius that he has neglected his own garden in favor of spying on his neighbor’s gardening activities constantly. When Cornelius unknowingly cuts off sunlight from Boxtel’s garden, Boxtel is driven nearly insane with rage. The government announces a competition to award 100,000 guilders to the gardener who can produce a flawless black tulip (a real plant that requires enormous skill and time to produce). Cornelius doesn’t care about the money, but is excited by the challenge. Boxtel, with his shaded garden, knows he now has no chance to beat Cornelius. Boxtel sees evidence of Cornelius’ involvement with de Witt due to his spying, and he has Cornelius arrested for treason. Cornelius is initially sentenced to death, but William of Orange, newly-installed as Stadhouder after de Witt’s death, commutes it to life in prison. Cornelius manages to save three cuttings from his tulips—cuttings that will almost certainly bloom into the black tulip. In prison, Cornelius is under the authority of Gryphus, a cruel and petty man. Gryphus brings his beautiful daughter Rosa to help at the prison, and she meets Cornelius. The two strike up a friendship as Cornelius offers to teach Rosa to read and write. Cornelius reveals the cuttings to Rosa and she agrees to help him grow the prize-winning tulip. Boxtel learns that Cornelius has the cuttings, and is determined to steal them and win the prize for himself while getting further revenge on Cornelius (who is unaware of Boxtel’s antipathy and has no idea who placed him in prison). Assuming a false identity, he begins sneaking into the prison in an effort to steal the cuttings. Gryphus is convinced that Cornelius is a dark magician of some sort, and is convinced that he is plotting to escape the prison and obsessed with stopping him, which allows Boxtel to pull off his plan. Cornelius and Rosa fall in love, and Cornelius entrusts his cuttings to Rosa as a symbol of his love. 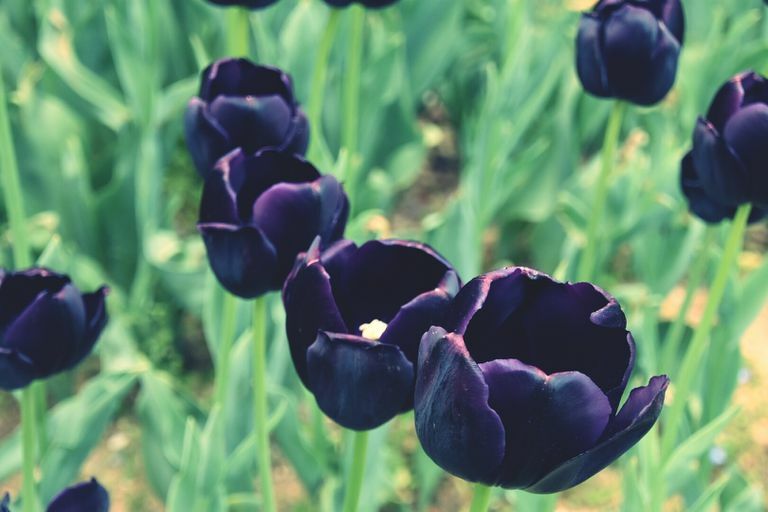 One of the bulbs is crushed by Gryphus, but they begin to cultivate the black tulip in prison, although Rosa punishes Cornelius at one point for loving tulips more than her. Boxtel manages to steal one of the mature tulips, and Rosa pursues him, filing a complaint and eventually enlisting the help of William of Orange, who believes her story, punishes Boxtel, and frees Cornelius from jail. Cornelius wins the competition and regains his life, marrying Rosa and starting a family. When Cornelius meets Boxtel, he does not recognize him. Cornelius van Baerle. The godson of former Grand Pensionary Johan de Witt, Cornelius is a wealthy, apolitical man of learning and tender disposition. His main goal is the cultivation of tulips, which interests him solely as a passion. Isaac Boxtel. van Baerle’s neighbor. Boxtel lacks Cornelius’ advantages in terms of money and intellect. He was once a somewhat-respected gardener, but when Cornelius moved in next to him and began renovations that cut off the sun from his garden, he became enraged and obsessed with harming his neighbor. Gryphus. The jailer. He is a cruel and ignorant man who becomes convinced that Cornelius is a magician. Gryphus spends much of his time imagining escape plots that do not exist. Rosa. Gryphus’ daughter. She is beautiful and innocent. Uneducated, but very intelligent, Rosa is aware of her limitations and asks Cornelius to teach her how to read and write. When the black tulip is stolen, Rosa is the one who leaps into action, racing to stop Boxtel and see justice done. William of Orange. The future King of England and a Dutch aristocrat. He engineers the deaths of Johan and Cornelius de Witt because they opposed his ambitions to be Stadhouder, but later he uses his power and influence to help Cornelius at several points in the story. Dumas conflated several of William’s ancestors to create a character who is not historically accurate, possibly in order to avoid insulting the English royal family. Direct Address. Dumas breaks the fourth wall and addresses the reader directly on several occasions, telling the reader what to expect or asking them to excuse storytelling shortcuts. 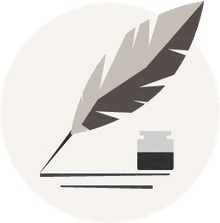 At the very beginning of the novel, Dumas warns the reader that he must begin with some historical background, and while he knows the reader is anxious for the action and romance, they need to be patient. At several other points in the book, Dumas directly warns the reader that a convenient coincidence is about to occur, and justifies this by reminding them that God is watching and often takes a hand in our fate. Deus ex Machina. Dumas moves his story along with several "convenient" storytelling devices. The ending is more or less a deus ex machina, where William of Orange is conveniently located by Rosa and even more conveniently proves to be very willing to help. Dumas justifies this ending by explaining that God does, in fact, regularly intervene in our lives. Innocent Love. The love story between Rosa and Cornelius is part of a 19th century literary tradition in which innocent young women fall in love—and typically redeem—prisoners, often helping them escape. Faith. Cornelius survives his gauntlet because he has faith, both in God and in the goodness of the world. This hope sustains him and is supported and confirmed by Rosa, whose innocence grants her a kind of perfect faith, untroubled by cynicism. Mania. The second tulip mania sparked by the contest for the black tulip grips the entire country, and spurs the events of the story. Boxtel’s mania to create a black tulip (which is fantasy as he lacked the skill even before Cornelius arrived) drives him to commit many crimes, and in the end the fact that Cornelius has managed to create a flawless black tulip is one of the main reasons he is set free. Themes: Innocent love, mania, faith. Alice Furlaud and Special To the New York Times. “A DUTCHMAN'S QUEST FOR A BLACK TULIP.” The New York Times, The New York Times, 20 Mar. 1986, www.nytimes.com/1986/03/20/garden/a-dutchman-s-quest-for-a-black-tulip.html. Goldgar, Anne. “Tulip Mania: the Classic Story of a Dutch Financial Bubble Is Mostly Wrong.” The Independent, Independent Digital News and Media, 18 Feb. 2018, www.independent.co.uk/news/world/world-history/tulip-mania-the-classic-story-of-a-dutch-financial-bubble-is-mostly-wrong-a8209751.html. Reiss, Tom. “Vita: Alexandre Dumas.” Harvard Magazine, 3 Mar. 2014, harvardmagazine.com/2012/11/vita-alexandre-dumas. “THE BLACK TULIP.” Gutenberg, Project Gutenberg, www.gutenberg.org/files/965/965-h/965-h.htm.